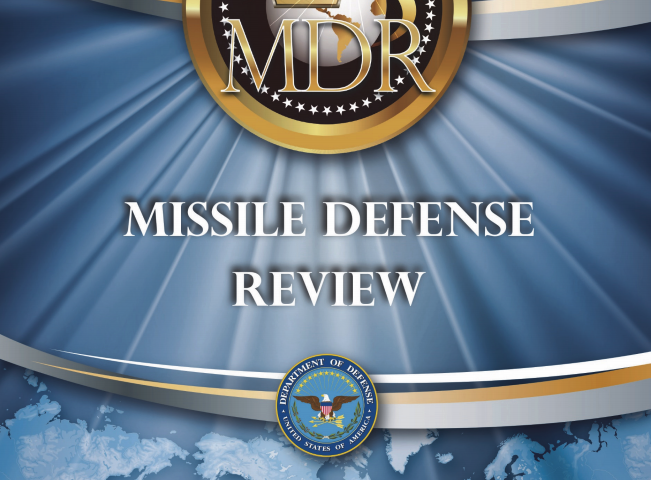 President Trump personally released the long-overdue Missile Defense Review (MDR) today, and despite the document’s assertion that “Missile Defenses are Stabilizing,” the MDR promotes a posture that is anything but. Firstly, during his presentation, Acting Defense Secretary Shanahan falsely asserted that the MDR is consistent with the priorities of the 2017 National Security Strategy (NSS). The NSS’ missile defense section notes that “Enhanced missile defense is not intended to undermine strategic stability or disrupt longstanding strategic relationships with Russia or China.” (p.8) During Shanahan’s and President Trump’s speeches, however, they made it clear that the United States will seek to detect and destroy “any type of target,” “anywhere, anytime, anyplace,” either “before or after launch.” Coupled with numerous references to Russia’s and China’s evolving missile arsenals and advancements in hypersonic technology, this kind of rhetoric is wholly inconsistent with the MDR’s description of missile defense being directed solely against “rogue states.” It is also inconsistent with the more measured language of the National Security Strategy. Secondly, the MDR clearly states that the United States “will not accept any limitation or constraint on the development or deployment of missile defense capabilities needed to protect the homeland against rogue missile threats.” This is precisely what concerns Russia and China, who fear a future in which unconstrained and technologically advanced US missile defenses will eventually be capable of disrupting their strategic retaliatory capability and could be used to support an offensive war-fighting posture. Thirdly, in a move that will only exacerbate these fears, the MDR commits the Missile Defense Agency to test the SM-3 Block IIA against an ICBM-class target in 2020. The 2018 NDAA had previously mandated that such a test only take place “if technologically feasible;” it now seems that there is sufficient confidence for the test to take place. However, it is notable that the decision to conduct such a test seems to hinge upon technological capacity and not the changes to the security environment, despite the constraints that Iran (which the SM-3 is supposedly designed to counter) has accepted upon its nuclear and ballistic missile programs. Developing a defensive layer of space-based sensors (and potentially interceptors) to assist with launch detection and boost-phase intercept. Developing a new or modified interceptor for the F-35 that is capable of shooting down missiles in their boost-phase. Mounting a laser on a drone in order to destroy missiles in their boost-phase. DoD has apparently already begun developing a “Low-Power Laser Demonstrator” to assist with this mission. Overall, the Trump Administration’s Missile Defense Review offers up a gamut of expensive, ineffective, and destabilizing solutions to problems that missile defense simply cannot solve. The scope of US missile defense should be limited to dealing with errant threats—such as an accidental or limited missile launch—and should not be intended to support a broader war-fighting posture. To that end, the MDR’s argument that “the United States will not accept any limitation or constraint” on its missile defense capabilities will only serve to raise tensions, further stimulate adversarial efforts to outmaneuver or outpace missile defenses, and undermine strategic stability. During the upcoming spring hearings, Congress will have an important role to play in determining which capabilities are actually necessary in order to enforce a limited missile defense posture, and which ones are superfluous. And for those superfluous capabilities, there should be very strong pushback. (1)Space based sensors are required to acquire and track missiles of many kinds especially hypersonics which Russia and China are both developing, with China having conducted more than two dozen successful hypersonic tests. (2)The test record of missile defense coupled with the operational success of intercepts in the Middl East shows that missile defense works to blunt attacks and allow diplomacy to work. (3)The idea that European based defenses are not needed because Iran’s ballistic missile threats are contained is beyond laughable. There are no retrictions on Iranian missile developments except a worthless UN resolution “calling” upon Iran to exercise restraint re ballistic missiles with a nuclear capability. (4)The massive arsenal owned by Hezbollah and the hundreds of rockets fired into the Persian Gulf region by Iranian proxies and Iran’s revolutionary guard corps is proof positive of the threat not being contained. (5) The ability to shoot down Russian and Chinese missiles—used for example by the bad guys initially in a regional or theater attack—can blunt the possibility of an escalating conflict ending in catastrophe. (6)The ability to destroy a limited number of Russian or Chinese missiles of wherever cspabllty does not in any manner vitiate their deterrent. (7)It does however handcuff their pursuit of missile coercion and blackmail especially early in a conflict, a point made by both the national security and defense strategy and the missile defense review. (8)The proposals by the administration are stabilizing and necessary especially after many years of less than robust missile degree work. (9) In 2002-3 the USA ended the ABM treaty and subsequently in two arms treaties reduced Russian strategic nuclear deployed warheads by 70% contrary to all the wrong predictions of arms control doom by the always blame America disarmament community. Unfortunately FAS remains in this anarchistic club. When I read the MDR it claims to cater to threats posed both by “Rogue States” and “Revisionist Powers”. In that sense it does not contradict itself but may be in contradiction with the NSS 2017. 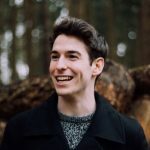 Matt Korda is a Research Associate for the Nuclear Information Project at the Federation of American Scientists, where he co-authors the Nuclear Notebook with Hans Kristensen.